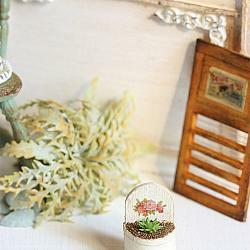 Inspired from real life, this shabby and chic miniature plant is created entirely by myself. Looks extremely adorable, this is a highly versatile piece which can be displayed in many areas of your dollhouse. Display it in front of your dollhouse front door, balcony, bathroom or even kitchen counter. 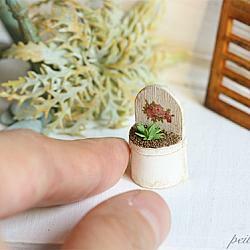 This shabby and chic miniature plant measures 2.1 cm tall, 1.3 cm at its widest.